The final two spots of the StarLadder Minor are locked in. Over the last week, Vici Gaming has been dealing with some big problems on their roster, even as they were competing for a spot in the StarLadder ImbaTV Dota 2. Among their issues, talk of shaking up the roster that has landed VIci into the previous two Dota Pro Circuit Majors—resulting in seventh place finishes at both the Kuala Lumpur and Chongqing Majors. This roster change would see a few of their players like Zhou “Yang” Haiyang swapping positions among other things. The biggest change that Vici announced was the removal of Pan “Fade” Yi from the active roster. Fade himself had a small conversation with fans on his Weibo page talking about how he “respects their decision” but is now unable to win. This change seemed to shake their play during the opening round as they fell 2-0 to another Chinese power from this DPC season, Team Aster. Just after that loss, Vici went back on their plans to restructure their team for the Chinese qualifiers and stated that they would be running through the rest of the event with the same roster. 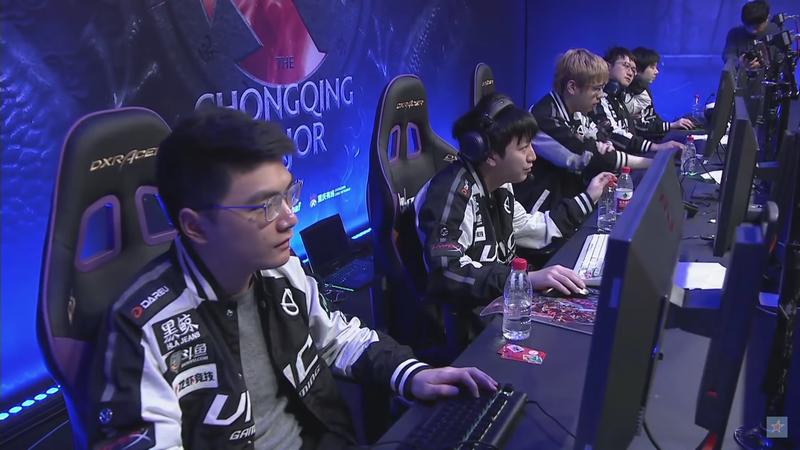 This included ending the trial run with Invictus Gaming’s Sun “Agressif” Zheng and putting Fade back into the rotation. Aster went into this event with their own roster changes, including the addition of Chai Yee ”Mushi” Fung even while the team he is currently contracted under, Tigers, was also competing for a spot in the same event. This change reunited Mushi with his former teammate Xu ”BurNIng” Zhilei who created and coaches the team. After defeating Vici, Aster went on to face Royal Never Give Up in the winner’s finals. There they were upset and knocked into the lower bracket after hard-fought series. In the lower bracket, Vici started tearing into their opponents. They easily bested Room310 and then went on to do the same in a rematch against Aster. Even after the event, neither Aster or Tigers have commented on Mushi’s future. Royal and Vici claimed the final spots in the StarLadder Minor, but not everything is settled for the second seed of the event. Following their qualification to the Minor, Fade talked about his unlikely future with the team and his reasoning for returning for the event. He went on to say he was exhausted by the whole ordeal and he will likely take a break while Vici competes in MDL Macau 2019 from Feb. 20 to 24. He finished his post by thanking those who supported him and complimenting Yang on his outstanding play during their loser’s run. As the next stage of the DPC approach, teams like Aster, Vici, and many others are going to be working on their roster issues in hopes of contending with the cohesive rosters of organizations like Virtus Pro and Team Liquid. Both teams will compete in the StarLadder ImbaTV Dota 2 Minor from Mar. 7 to 10. Eight teams will be battling for their share of $300,000, 500 Pro Circuit Points, and the last spot in the DreamLeague Season 11 Stockholm Major.